I made a small profit of 0.42% by being long gold last week. In retrospect, I entered the position a bit too early at $1337 average, and price went down further to $1318 (b). It was good that I held on to the position with the stop loss set at $1314 (I mis-tweeted that it was $1315 but it was typo). 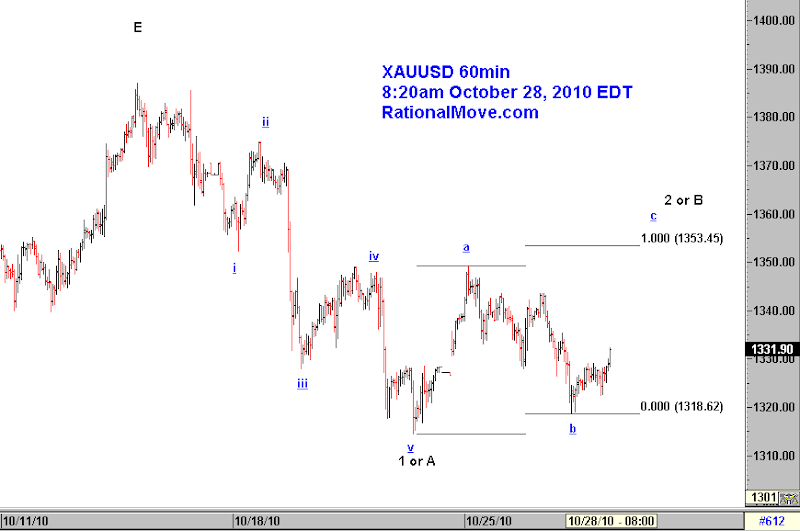 The price rebounded, but the uptrend to c does not seem to be an impulse wave so far. So, I got cautious and ended up exiting from the position prematurely. 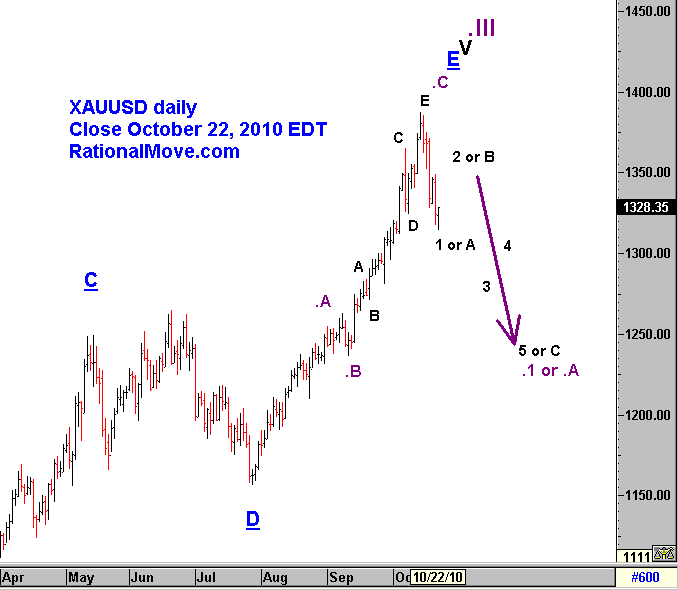 But I should be grateful because I’m trading in a corrective wave to 2 or B. Now I’m anticipating a downward impulse wave. 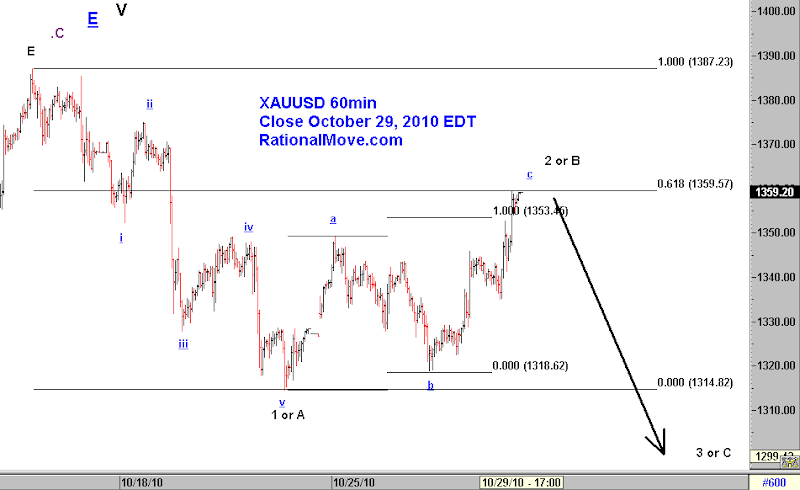 My current Elliott wave count is valid unless the price breaks $1388 up, so we may see further gain in the price, but the initiation of the downtrend could come at any time in my count. I will probably wait until I see at least $30 decline, then an upward corrective wave before deciding the entry point of the new short position. I think I was a bit too early to initiate the long position this time, but I am holding on to it with $1314 stop loss. Now that the blue underlined b is lower than I initially thought (=$1318), the target of this trade is also moved down to $1353. 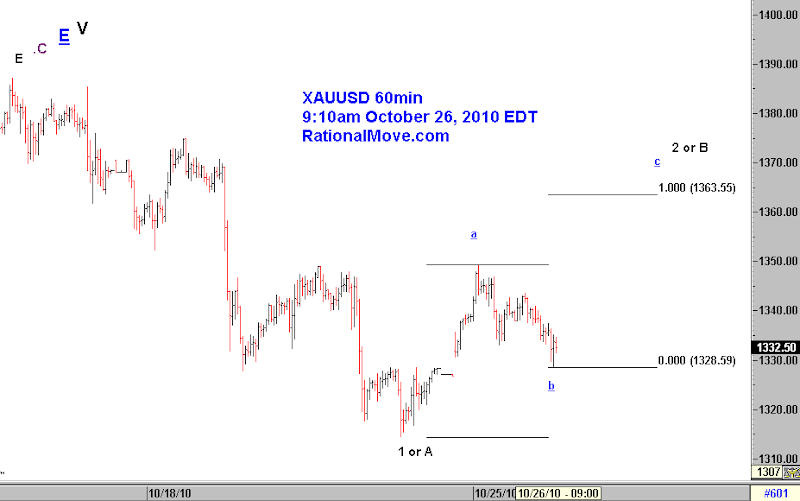 I believe gold still climbing up the uptrend for the long term, initiated the correction for the mid term.